Leaving Cert students are aiming higher and are rewarded today with a jump in the numbers achieving the highest grade in a subject. 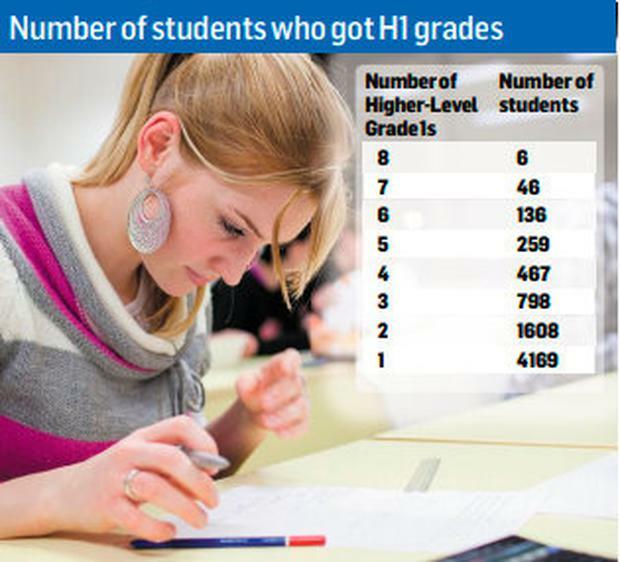 As more than 57,000 candidates receive their results, a breakdown of the data shows 7,490 students were awarded at least one H1 – a mark of between 90pc and 100pc – while seven will be celebrating eight H1s. An ongoing upward trend in the numbers sitting higher level papers is revealed in data from the State Examinations Commission (SEC) for the class of 2018. There was no dramatic swing in the second year of the new grading system. However, a 1.7pc increase in students achieving at least one H1 grade is noteworthy in a year when overall candidate numbers dipped slightly. The CAO bonus points for a minimum 40pc in “honours” maths continue to attract students, with more than 31pc of maths candidates taking higher level, but the relatively high numbers under-achieving in the subject will cause disappointment. At higher level, 7.7pc received below 40pc and, while most are in the 30pc-40pc bracket and will qualify for points under the new CAO scale introduced last year, it is a cause for concern in a subject regarded as critical for future study and life. Meanwhile, 9.8pc of ordinary level candidates failed to achieve 40pc in maths, a figure that remains high year on year. 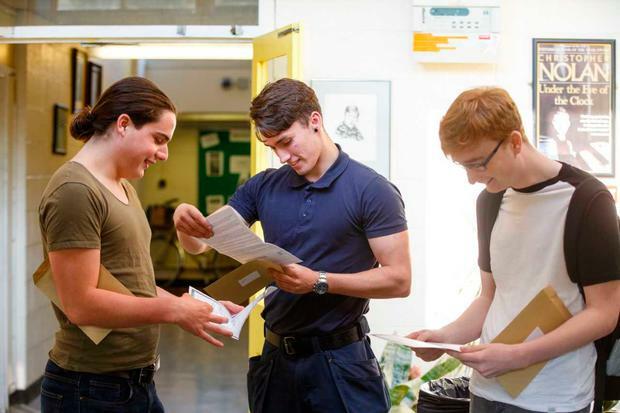 Art students, in particular, will notice an uplift in grades at the top, following the introduction of new assessment arrangements this year. Education Minister Richard Bruton led the congratulations to students and said they “should all be so proud of the work you have put in and what you have achieved”. This is the first year of assessment in the new subject of politics and society, with 867 students in 41 schools having taken the exam. It will be available to all schools from September, while computer science and physical education are also being phased in from next month. 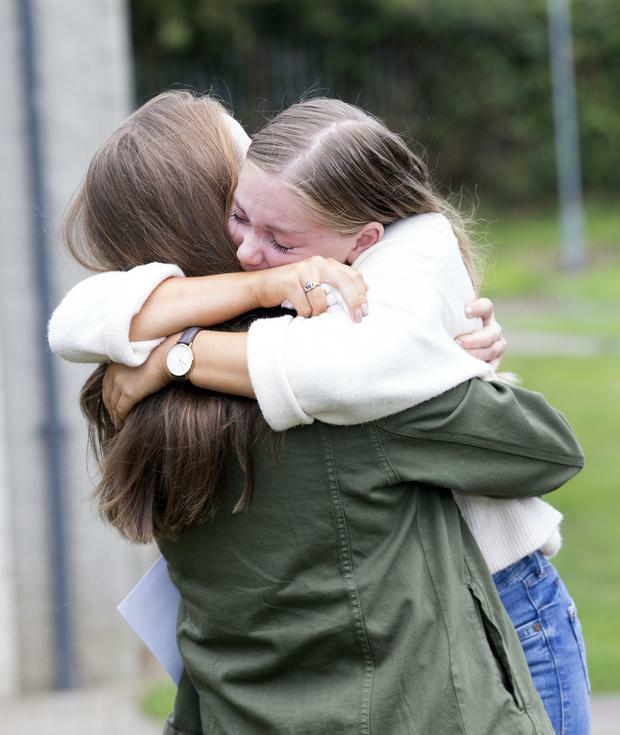 The release of the results sparked a hard-hitting statement from the business organisation Ibec, which claimed that the Leaving Cert “is not fit for purpose”. The Ibec statement followed research published by Dublin City University (DCU) this week revealing that the exams were largely memory tests and were not adequately assessing students’ intellectual skills. Ibec senior executive for innovation and education policy Claire McGee said: “In its current form it is doubtful that the Leaving Cert is in tune with the needs of Irish society and its economy.” She added that reform was overdue. “A high-stakes, terminal exam, predominately based on rote learning and information recall, leaves students with little opportunity to think critically, engage analytical skills and develop greater interpersonal skills,” she said. Ms McGee said it was “now time to make the Leaving Cert, and indeed the whole senior cycle and careers service, more relevant for the 21st century”. “To help students transition to future study and into the world of work, we need an education system that encourages a spark for learning, one that creates options for young people and prepares them for the their next phase in life,” she said. Ms McGee said Ibec looked forward to engaging on the review of the Leaving Cert that is currently under way.